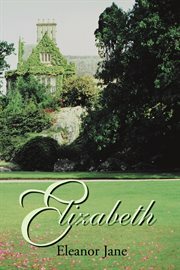 The item Elizabeth, (ebook) represents a specific, individual, material embodiment of a distinct intellectual or artistic creation found in Charlotte Mecklenburg Library. Seven year old Elizabeth is looking forward to her first piano recital in front of her new school, her dad and stepmother. Her time comes at the piano and as she steps on the stage, she notices her family isnt there. After the recital, when all of the other students and parents have left the auditorium, Elizabeth is still waiting for her parents to come for her. Little does the small girl know, but her parents were in an accident that would change her and her family dynamics for the rest of her life. For years Elizabeth is sent from boarding school to boarding school, never allowed to come home, never getting any correspondence from her family, never really allowed to make any friends. About the time she was settled and doing well in school, someone would show up and again she was moved to a new school until she reaches college, where she is finally left to be on her own. Two weeks before her college graduation, a man shows up again telling her he was there to take her to her father. In so many years, it was all she had every prayed for: to be returned to her family. She didnt know he had other plans making her someone elses responsibility. Duncan had made the deal only available to advance his company: he is approached by someone who could help his struggling company but he would have to marry the mans only daughter. He needed the promised financing to get his American company off the ground. When she walked into the room dressed in ancient jeans and sweat shirt, Duncan was appalled but showed no signs of it. He would proceed with this farce then send the waif off to his Ireland estate until he could legally get rid of the woman. Five years later, after Elizabeth had matured into a lovely young woman, her youngest brother comes looking for her. Sam was furious when he found out Elizabeth had been sold off to a loveless marriage. But what enraged him more was her banishment to an estate in Ireland. In the next few months, many changes happened to Elizabeth, her unknown husband Duncan and the brother she hadnt seen in almost twenty years. Could her dreams of home and family finally be realized?